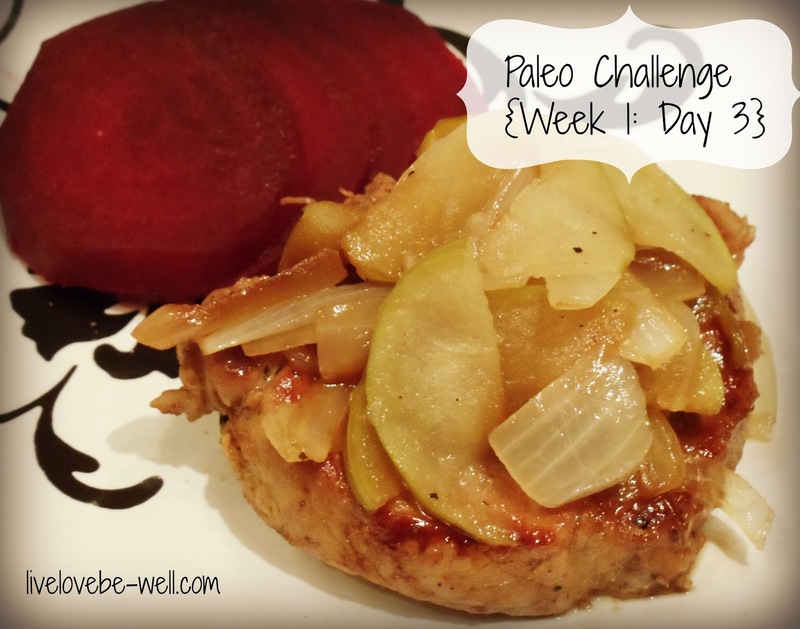 Yet another easy day with our Paleo Challenge! This morning we took pears and ham to work for breakfast. I know we’re supposed to be eating lean cuts of pork, but this hunk of ham looked pretty good, and it was a very small amount. Lunch was leftover pot roast with sautéed zucchini and mushrooms followed by a small green salad. We had the same snacks as yesterday: celery sticks with cashew butter and banana bread muffins. For dinner, I decided to try my hand at pork chops. I like to call this concoction Green Appletini Pork Chops. I’ll have to perfect it before giving out the recipe, but the general gist of it is pan seared pork chops in vodka topped with caramelized onions and green apples. This was served with a side of roasted beets and a green salad. 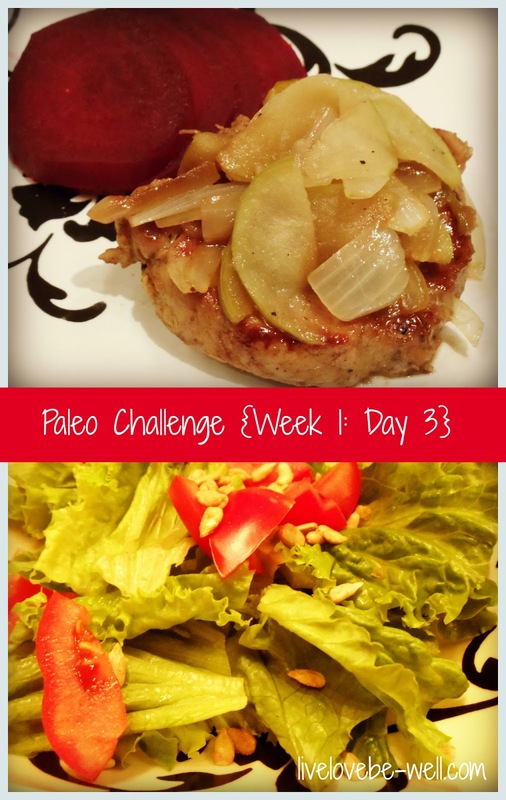 Well, there you have it–Day 3 is finished and I even got a little creative! I also discovered a recipe for sweet potato chips, so I might try those out next week. I found a great book at the library called Everyday Paleo Family Cookbook by Sarah Fragoso. I will definitely be using her recipes in the weeks to come. Have a great night!